Many Audiophiles own loudspeakers having three pairs of loudspeaker terminals. One pair for the Bass frequencies, the second pair for the middle frequencies and third for the upper frequencies. Tri-wired adapter cables are something to consider! 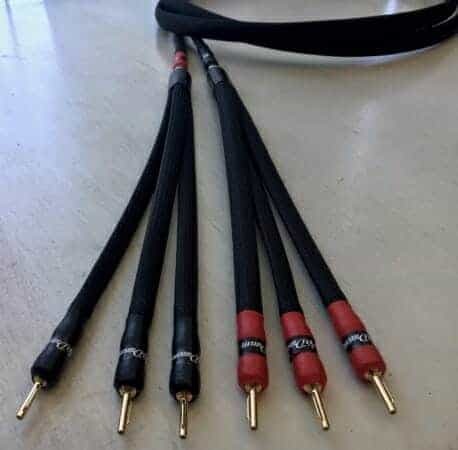 With this type of configuration three set of loudspeaker cable are required to achieve optimum performance. Unfortunately the cost can be very high if three sets of cables are used. Bi-wiring is the use of two runs of speaker cable per channel between the amplifier and speaker. 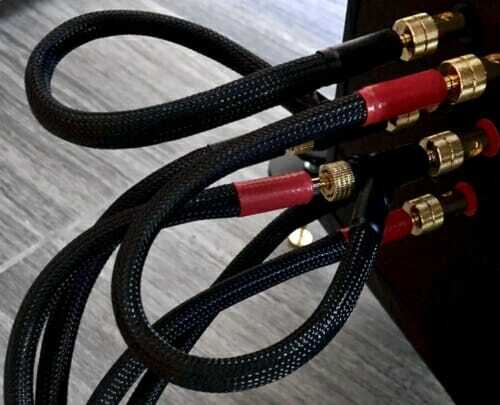 Tri-wiring is similarly the use of three runs of speaker cable per channel, but you will require a three way loudspeaker and three rear pairs of terminals per speaker to achieve this. Some people advocate that separating the signal paths aids the retrieval of fine detail. However, the evidence is far from conclusive. 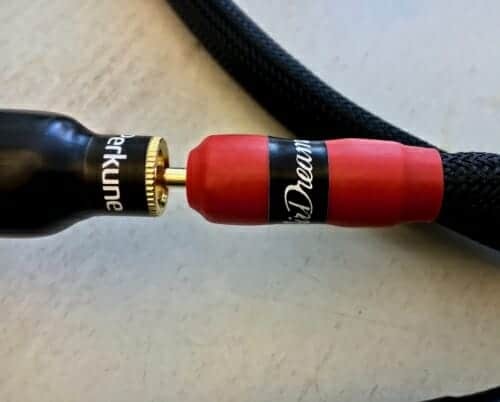 I am now able to offer a solution to reduce price based on the three meter ‘AirDream’ loudspeaker cable with the addition of the ‘Tri-wired’ adapter cables. The ‘AirDream’ copper is fitted with next generation 24K gold plated ‘Positive contact’ banana plugs. The plugs are copper bodied, anti-corrosive and due to the new feature make for an even better contact. Which improves the sound heard at the loudspeakers. 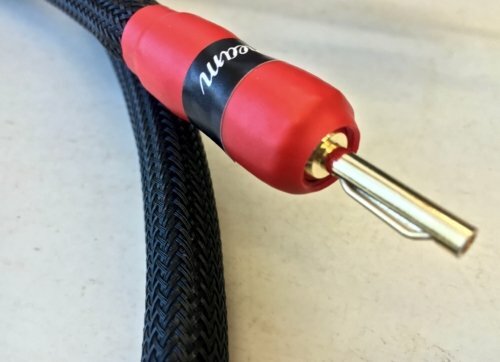 One side of the loudspeaker cable simply inserts into one ‘Tri-wired’ adapters. The result is conversion of one signal into three signals. The signals will be identical because the adapter cables are constructed exactly the same as the Loudspeaker cable. 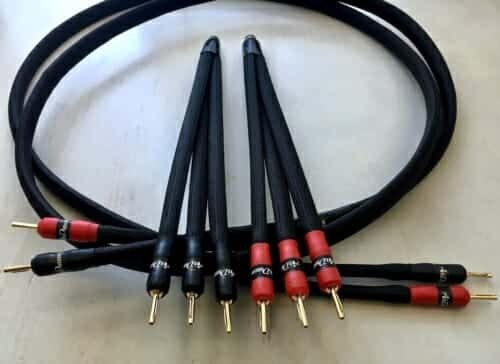 This is an easy solution and you can use your existing loudspeaker cables if you would like because the adapter cables will fit any banana connection. For more information please feel free to contact me via the website. 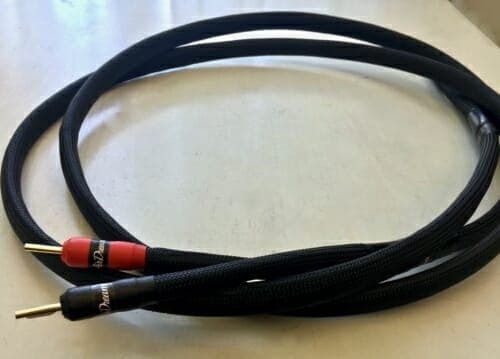 Cable length: 400 mm. Size: 15 x 8 mm. Conductors: 2 x 2.50 mm, OFC 99.9% (containing 144 strands x 0.15mm). Resistance: 0.014 Ohms/m. Capacitance: 48 pF/m. Inductance: 0.77 uH/m. Insulation: Vinyl. First line: Single AirTube, Foil sheathing. HD tape. Secondary AirGap: DERAY-PBFSP, Outer AirGap: DERAY-PBFSP, Outer sheath: CanuFlex PE-HB. Certificate: ISO 9001:2008. If you have enjoyed reading this ‘Tri-wired’ adapter cables blog, please share with friends by using the share buttons below – thank you.